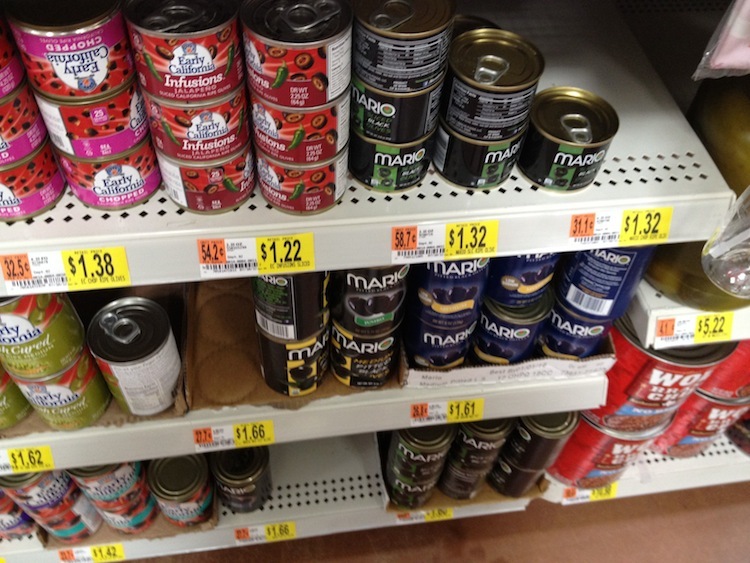 We’ve come to the last group of foods in our Ninja-style Real Food shopping at Walmart. This group is a catch-all … basically all the foods that are not quickly perishable. This includes grains, flours, nuts, seeds, dried fruits, canned goods and condiments. 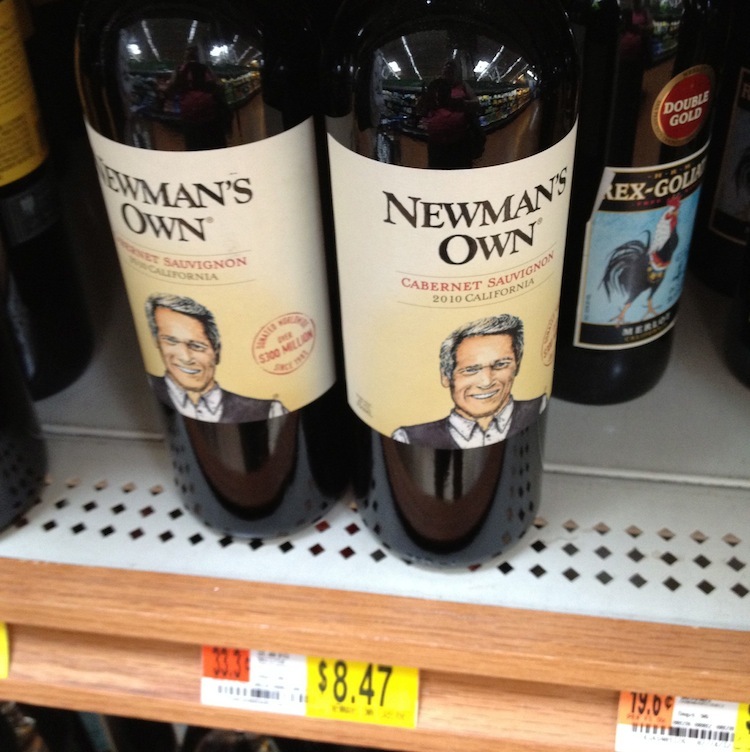 Really, this stuff is the easiest stuff to find at Walmart. Why? Because it’s non-perishable! Walmart and any other grocer just loves that . Large grocers became profitable with the advent of processed foods precisely because of the long shelf lives. 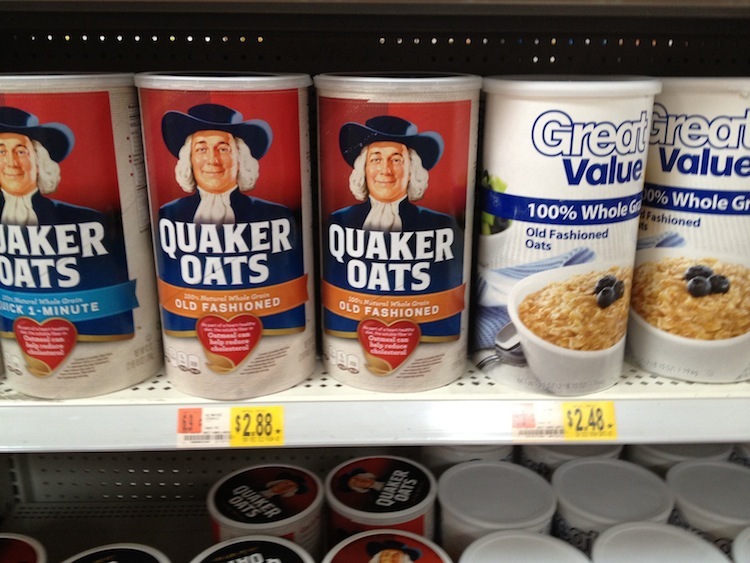 And if they can get a higher markup because it’s organic they are even more pleased. So here we find the greatest number of organic labels. 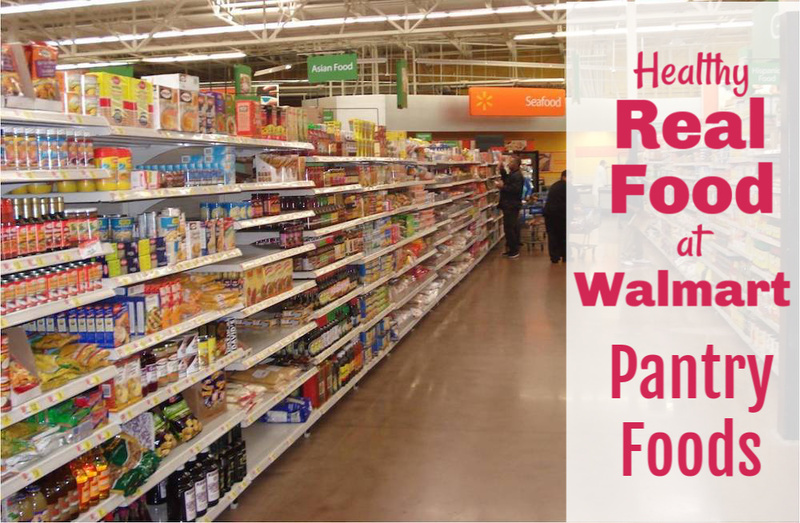 If you must shop at the large chains like Walmart, here is where you’ll find the majority of foods. Most of the choices here are pretty straightforward. Basically, you’re just looking for the simplest ingredient labels. Rice bags with ingredients of “Rice”, peanut butter jars with ingredients of “peanuts, salt”, etc. And they’re are examples in many, many categories. And if you can find and afford organic definitely go for it . This is also the section where you will find the most benefit from shopping online. 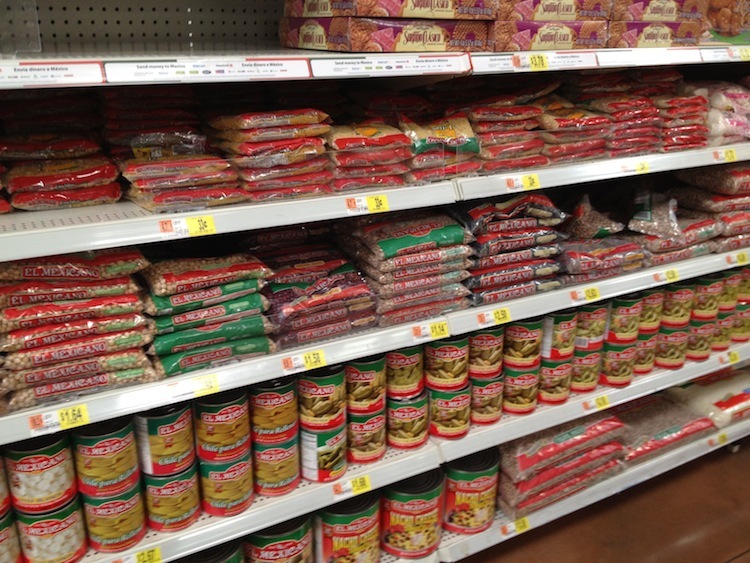 Walmart offers virtually all of this shipped to home for free. However, the prices aren’t the best. 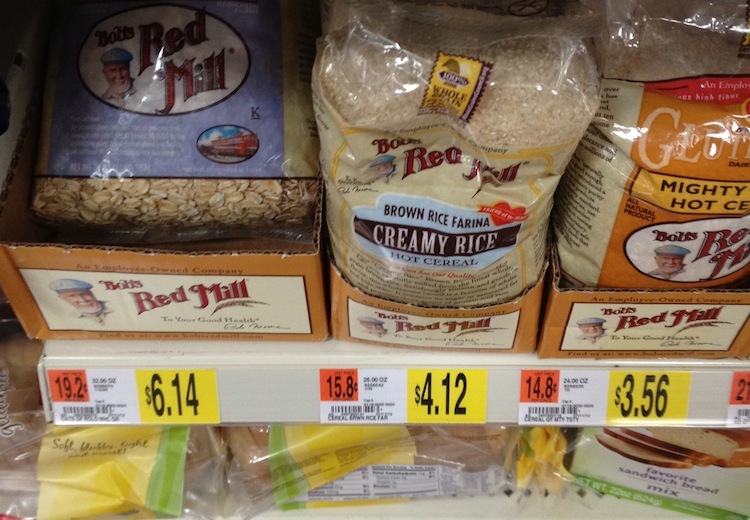 For instance, Walmart will ship you wheat berries in 6 small packs at the rate of $6.73 per pound. Amazon will also ship to you for free organic red wheat berries in a 25 lb bag for $.84 a pound. This is huge! So check the prices against other websites before you order! The only advantage I can see here is if they will ship to store, and you must pickup there rather than have it delivered to home. But many grocery items do not have a ship to store option. Found several whole foods companies represented here, Bob’s Red Mill, King Arthur Flour, etc. 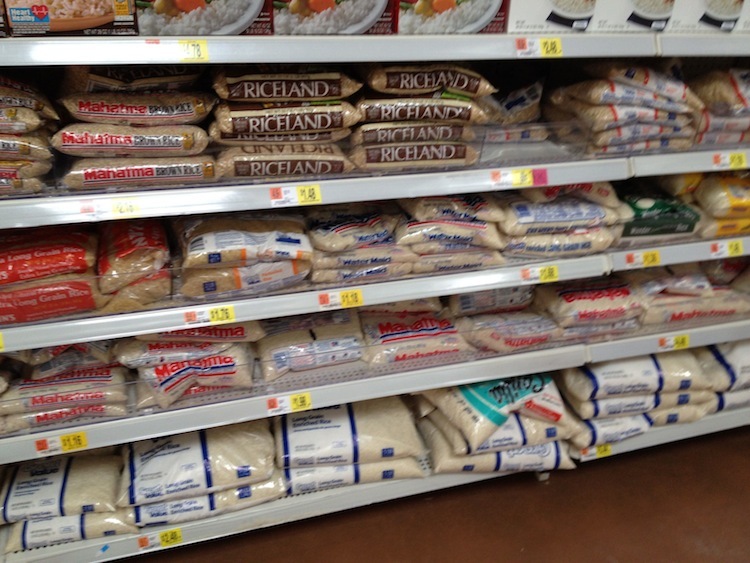 Also lots of good plain grains and beans. 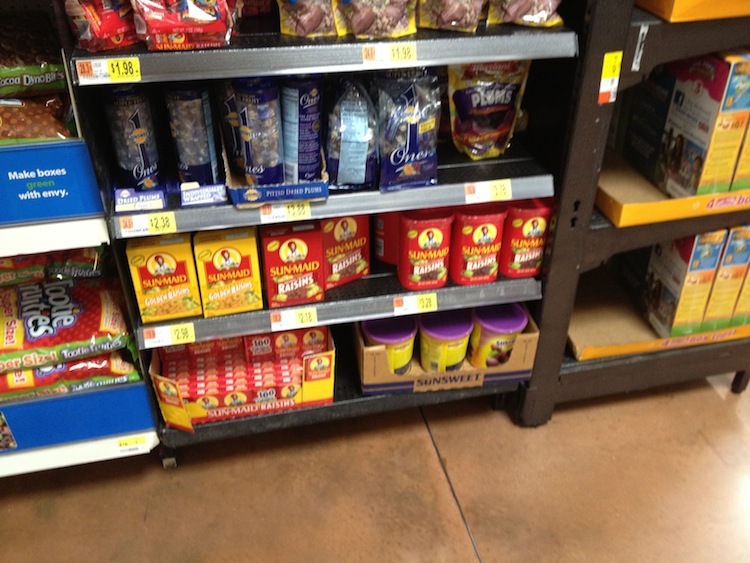 Plain nuts are kinda stale at Walmart overall but the olives, peanut butter and dried fruit looked pretty good. 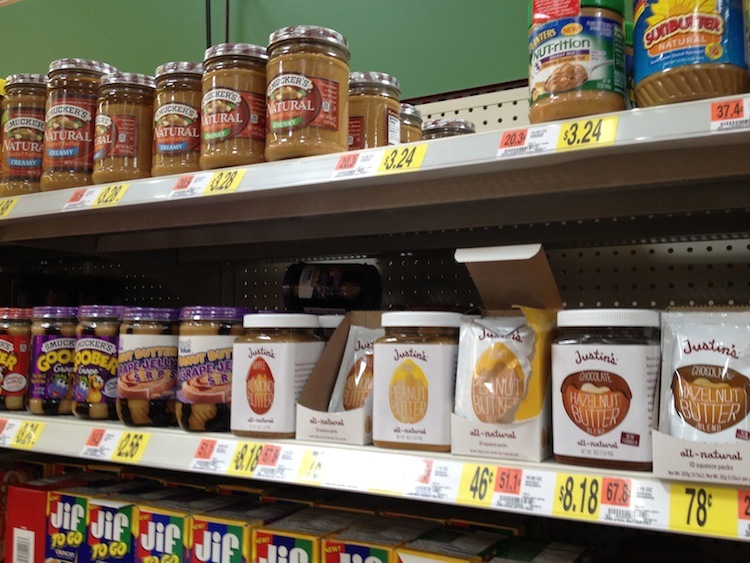 A few peanut butter choices shown here, but there were more. 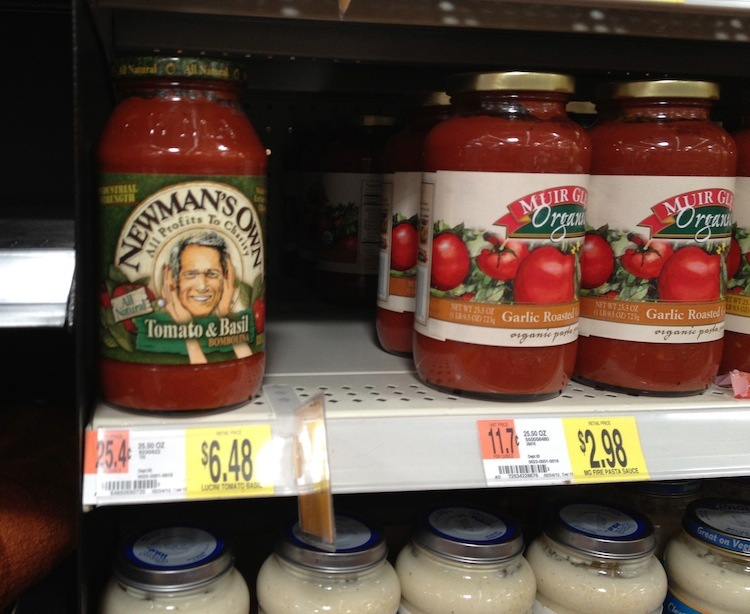 Lots of organic processed choices like spaghetti sauce and condiments. Some decent wine and lots of organic tomato sauce and paste! 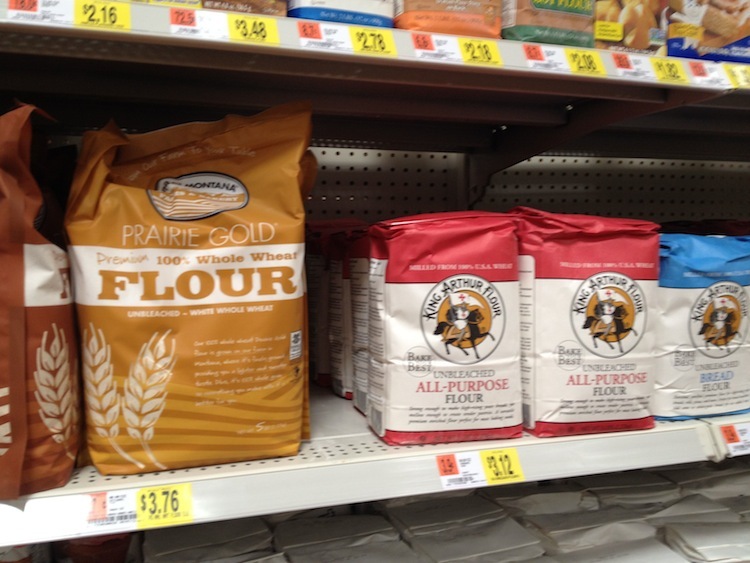 Muir Glen is well represented on the shelves at Walmart … good prices too! That’s it for our store overview! Whew, made it to the end . Next week I plan to review what I’ve found in writing this series. I’d also like to talk about the nature of compromise in the “Real Food” world and it’s place in our constant drive to find better food … see ya then!